Politico’s Morning Education reports that Minnesota, New York, Virginia and West Virginia also received federal feedback this week. After “years of intense pressure on school test scores, the state’s education department on Monday submitted” its ESSA plan to the federal government, which “broadens its previous reach—promising to evaluate more schools than before, and in a well-rounded fashion. The Minnesota Dept. of Education is “hitting the road this month” for a series of public meetings regarding the state’s ESSA plan. The Minnesota Dept. of Education released the state’s draft ESSA plan for public review. Comments will be accepted until August 31. The Minnesota Dept. 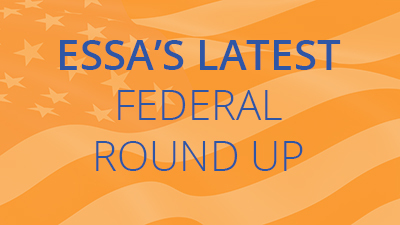 of Education will begin conducting their second round of regional meetings to engage with stakeholders around the state’s plan for ESSA implementation – a total of six meetings beginning October 5th. Feedback from Minnesota’s July meetings has been posted to the site. The Minnesota Dept. of Education’s technical committee, tasked to define Minnesota’s accountability system under ESSA, met last week for their third public meeting. In addition to summer meetings, committee meetings will continue in October, November and December. State Education Commissioner Brenda Cassellius will host an ESSA meeting on July 20th.